Unity... Swieqi United players do their customary pre-match huddle. Since their debut season, Swieqi United FC have always been a club associated with ambition. Set up by a young group of University students, the Orange always had one aim: to give the growing town of Swieqi an identity and affiliation with sports. A key figure since Swieqi United’s birth is club president Justin Fenech who spoke to Mark Strijbosch about the development and future plans of the club. Justin Fenech, the president of Swieqi United FC. Justin Fenech’s enthusiasm for the club has been apparent since day one. His vision has always driven the team forward and, though five years seem like a short time in the sport, Swieqi United have become more than just a football club. This image starts at the foundation and strengthens through the club. Academy juniors are not limited to playing football once a week but train a mix of sports to ensure they develop as athletes first, then as footballers. At present, they train handball, football, athletics and rugby together with an emphasis on motor skills, provided in a gym environment to get them into the habit of conditioning their learning. The aim here is to give these athletes a knowledge base, just like what happens when “learning your credits reading for a University Degree,” Dr Fenech comments. The young Swieqi United president is full of ideas and his holistic approach is evident from the get- go. “The amount of children who drop out of sports by the age of 13 is alarmingly high,” he notes. And this trend worries him. By training multiple disciplines, he hopes that, as one drops out of a sport, he or she can easily find their feet in another. “Monitoring progress makes switching sports very easy,” Dr Fenech explains, as the rugby coach can build on the skills learnt in football, while improving on others. 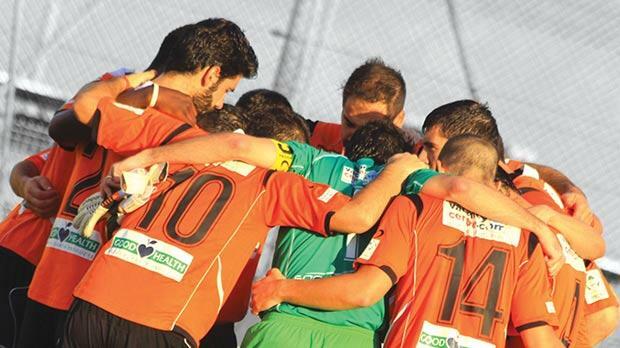 To aid the club in its aim, Swieqi United has five pillars of success. They focus on mental, physical, technical, tactical and the all important soft skills, which Dr Fenech emphasises, can “teach the player about different walks of life, ensuring sports offers an education and not simply a hobby”. Having this skill set, a player will improve his communication which will affect his professional life. A captain of a club who has learnt how to be a leader through sport is far more employable and the players’ CVs can develop more. “Without these soft skills, a player is unlikely to reach full potential and we have seen some classic examples where lack of discipline can hamper development. Names like Paul Gascoigne and Hatem Ben Arfa readily spring to mind,” Dr Fenech added. He hopes that other clubs follow Swieqi United’s example as this will “widen the talent pool in football while increasing the importance of sports in general”. Dr Fenech believes that while other clubs use this approach in an indirect manner, Swieqi United want to ensure that the main focus is not just the club, but also the bigger picture – Maltese football. He praised the talented team of coaches and players at the club. “This system creates good citizens who can take new skills to workplaces... this system is a school of thought not just a sport,” Dr Fenech reckoned. 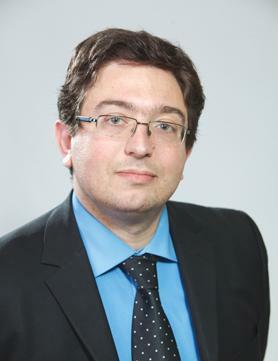 While sport in Malta enjoys a solid growth spurt, Dr Fenech argues things will change for the better once people “view sport as a lifestyle rather than a pastime”. “Parents stop a child’s sporting activity once his/her performance at school drops,” he said. The benefits of Swieqi United’s philosophy towards sport primarily influences the senior squad, currently enjoying a positive debut in Division Two, but the approach has a longer-lasting effect on the players’ lives, as well as on the impact the town of Swieqi can have on its own inhabitants. Before the football club was founded, the Local Council had highlighted sports and art as two areas of development. After five years, Swieqi United helped to associate the town with youth and more sports. Dr Fenech never mentions the senior team as a separate entity from the academy or the women’s team. He drills the belief of having a “one club mentality” and “the club supersedes everyone, with nothing being more important than the club”. With this approach, results are not only obtained during competition but also in training. A result is not just three points in the table but an athlete growing and developing in sports, Dr Fenech says. Despite being surrounded by Luxol St Andrew’s, Melita and Pembroke Athleta, Swieqi United are not hiding in the shadows of their more-quoted neighbours but instead paving their own new way in Maltese sports.